“We have already won several awards with this product. At first, we only focused on our medical markets, but we also saw an enormous potential for fresh produce. With this Food Freshness Card, the shelf life of fruit and vegetables can be doubled. Would you like to try it? 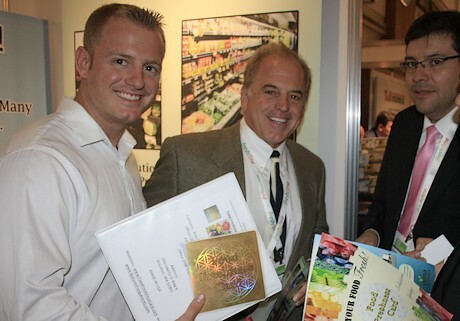 Take a card and we’d love to hear the results,” said Rick and RJ Hassler enthusiastically during the London Produce Show. RJ (left) en Rick (middle) with a potential client at LPS.